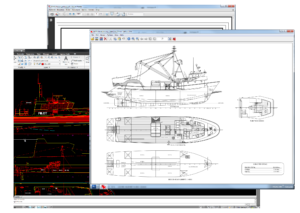 Let’s face it… even today AutoCAD DWG is the “de facto” industrial standard to exchange design information in 2D. So knowing how to deal with DWG in a smart way is essential for each designer or engineer. Although it is easy to open a DWG drawing in Rhino, it is most challenging to keep a Rhino file clean and avoid dozens of layers, blocks and other information from the AutoCAD drawing that doesn’t contribute to the 3d model. It is tempting to grab a few curves from an AutoCAD drawing and use them as input for a 3d model. But from what drawing and revision number where they used? That is an important question at a later time when questions are raised or it turns out that discrepancies occur. The workflow taught in this training also secures that it is clear where the input came from. Besides 2D AutoCAD information it often occurs that an image is used as background reference for modeling 3d objects. Images might be a scanned lines plan or a picture from internet that was found with Google images for example. This training teaches a workflow for preparing and using images in an accurate and efficient way. Goal of the training: Learn the necessary steps to use DWG, PDF and images in Rhino accurate, clean and clear. Most AutoCAD drawings contain numerous blocks. These should be exploded to facilitate working with the geometry later. Furthermore AutoCAD files often contain up to several hundreds of duplicates which should be deleted to reduce the file size. 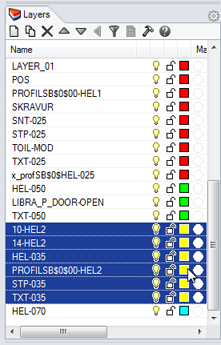 Also note that curves can have the same color as the grey Rhino background or be yellow which makes it impossible to see if the curves are selected as the default selection color of Rhino is yellow. All this needs to be fixed. Explode the selected blocks with the command _ExplodeBlock (Rhino should report: “91 blocks exploded”). Run _Purge with all options enabled to delete all empty layers, blocks, etc. Save the file as “pilot-vessel-GA.3dm”. You may have noticed the _SelDupAll command. Like the _SelDup command it selects all visible objects that are geometrically identical but it’s including the original. You can use it to find objects that have been changed by comparing a before and after version of a model.